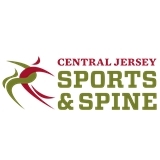 Central Jersey Sports & Spine (Somerset) - Book Appointment Online! Helping patients explore options for treating pain and regaining mobility. Our focus is to find the right treatment to minimize discomfort due to your symptoms and help you return to your pain-free lifestyle as soon as possible. We have multiple locations conveniently located in Central New Jersey. At CJSS we treat a variety of conditions, including: spine, back, neck and joint pain, foot and ankle trauma, sports related injuries, personal injuries related to motor vehicle accidents, chronic migraines, and more! The epidural injection was much easier to endure than those I've experienced with other doctors previously. This obviously was not Dr. Baxi's (or his assistants')' first rodeo!